Fracking – Oil Well Drilling is causing environmental damage throughout the country. Fracking is short for hydraulic fracturing of rock to find oil and natural gas underground. This new technique allows hard to reach natural gas and oil to be extracted. This process is popular because it has revolutionized America’s hunt for fossil fuels. Less international fuel needs to be imported. Jobs are created. Money is not shipped off to hostile countries. We definitely want to reach energy independence, lets not take short cuts and forget about the environment. Fracking can lower the value of homes near a well, do to worries over ground water contamination. Earthquakes could possibly occur, especially if fracking is done near a fault line. Fracking itself rarely causes and earthquake. The earthquakes appear to be caused when they dump wastewater from the process. These fluids are injected into disposal wells nearby. It is cheap for them to do this. Wells near Dallas-Fort Worth are causing quakes as are ones in Oklahoma. Energy needs to be used at the location and water needs to be piped in. An article in the San Francisco Chronicle mentioned a farmer walking near an oil well in the San Joaquin valley town of Shafter. He saw oily brown waste spilling from a pipe directly into an unlined pit near almond trees. Problems like this will end up polluting the water table and hurting our agricultural crops. Water disposal wells from fracking should treat and clean the water and dispose of it to a location not near an earthquake fault. Noise and dust need to be managed around wells. The EPA recently suggested that fracking may be causing ground water pollution. Previously, the folks that do fracking claim that they drill deep enough to avoid ground water aquifers. Recent ground water pollution near fracking sites has caused a rethinking of this concept. In California, the agency that regulates oil and gas does not record the number and location of fracked wells. Environmentalists are pushing California to add oversight. Most companies don’t even list what chemicals they utilize. Fracking utilizes guar gum, a food additive. They use so much that guar gum, prices have shot upwards. 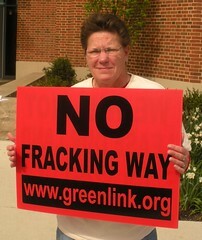 The fracking industry has set up a website with more voluntary details of oil industry practices. Some energy company representatives along with some environmentalists have suggested that poorly built wells are to blame for water contamination. The wells may not have been sealed with subterranean cement, allowing contaminates to travel up into aquifers. Chesapeake Energy has indicated that poor well construction may have caused water contamination in Bradford, PA.
Fracking has caused significant controversy and problems that states alone cannot address. They simply do not have enough resources and expertise to regulate fracking correctly. Congress needs to set up federal laws covering the safety and regulate the industry. This uniform regulation will help everybody in the end. While it is great to become more self-sufficient, it is important that we understand all the dangers with regards to fracking. If you live in California be sure to contact your Representative with you concerns. According to Environmental Working Group: a study from the EPA found 25 years ago that fracking contaminated an underground water source. There is no debate needed on this subject.